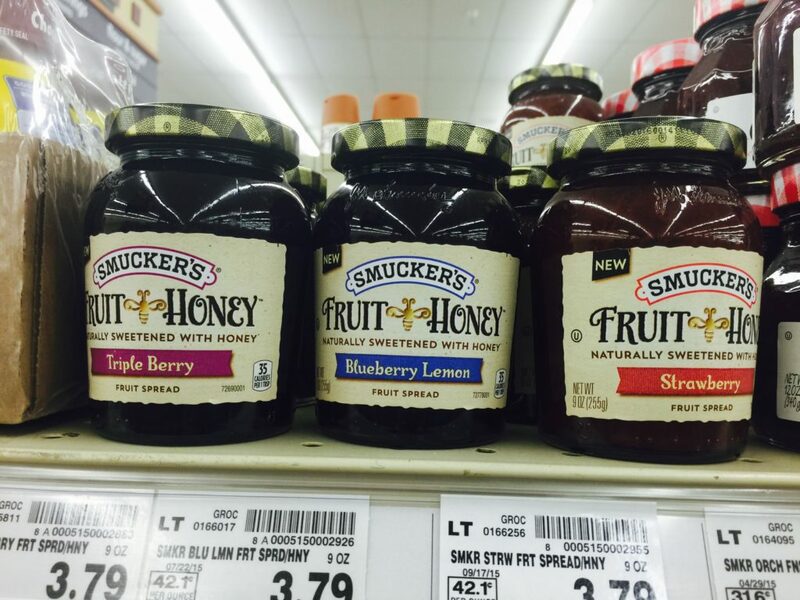 New Discovery in the Condiment aisle: Smuckers® Fruit & Honey! Don’t you just love it when you realize you forgot something at the store…AFTER you’ve already done all your grocery shopping? 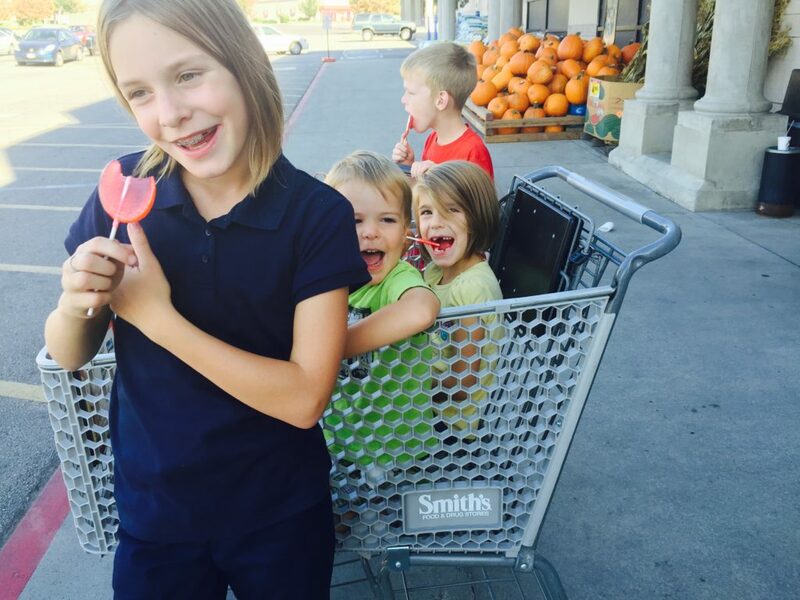 Such was the case with me and I ended up at Smith’s with all 4 kids for a gallon of milk! So, armed with lollipops from our visit to the Peppermint Place, I made my children all swear to behave and we ventured in. Of course we all know that a trip to the store for one item never ends with coming home with JUST ONE item. Since I had all my kids in tow, we took a vote and Triple Berry won the trip home…along with a few other items of course. My kids actually did an amazing job at behaving this trip which is not always the case so I’m a happy mom! I’m excited to try Smuckers® Fruit & Honey with my favorite biscuit recipe tomorrow. Stay tuned for the recipe and our official taste test! 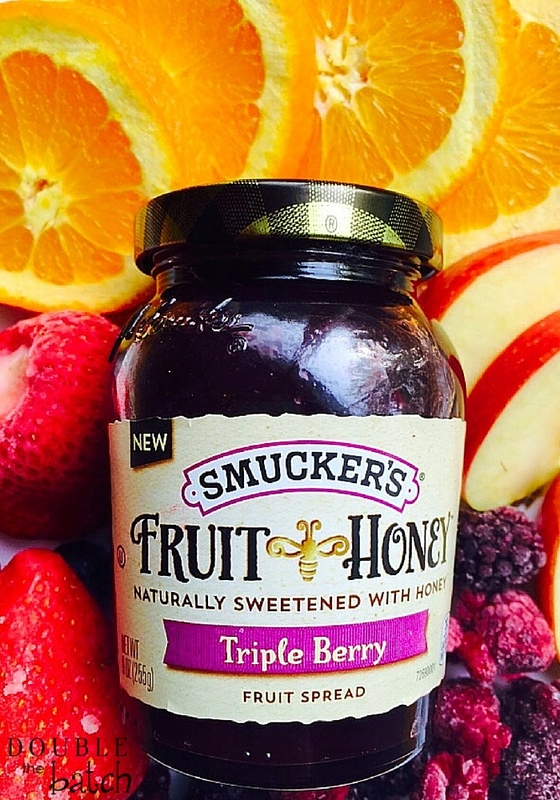 Have you tried the new Smuckers® Fruit & Honey? If so, comment below and let me know how you used it and if you liked it! I’m off to make dinner now, although what exactly, I haven’t decided yet! 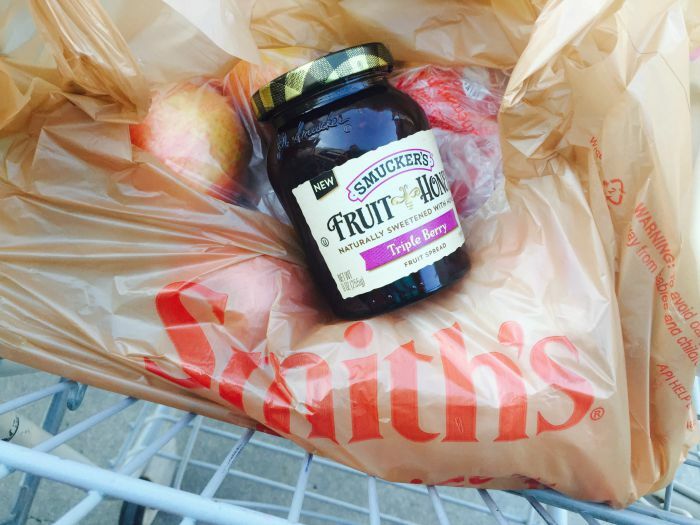 I bought Smuckers® Fruit & Honey Spread at my local Smith’s Food & Drug but it can also be found at any other Kroger Banner store. This is a sponsored conversation written by me on behalf of The J.M. Smucker Company®. The opinions and text are all mine.